During the setup process, you can create forms online yourself or we can help convert your existing forms into FastField mobile forms. Forms are created using the FastField online form builder tools. Extremely complex forms can be designed with skip logic, rules, in-form scripting, hide and show controls, stored data tables that map to fields (select once - populate many). As many forms as you need can be created and organized within the administration portal. Depending on the number of forms in your organization, they can be grouped into Form Libraries. Form Libraries serve as means to logically group forms around job functions, tasks or groups of users with a similar job function. This gives you more refined control over who has access to what mobile forms. 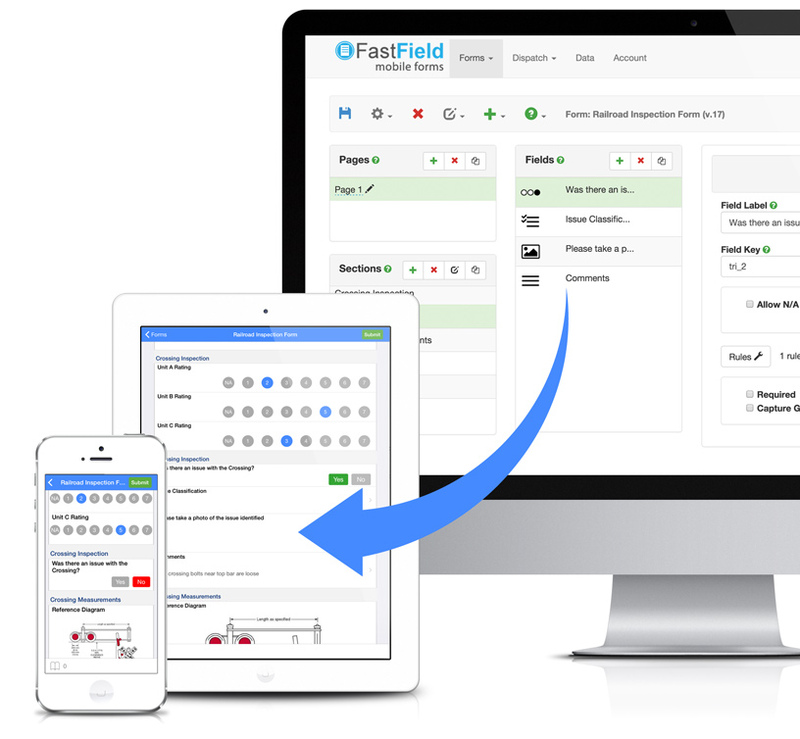 Once the forms have been configured in FastField they are deployed to our FastField Mobile Form Servers. 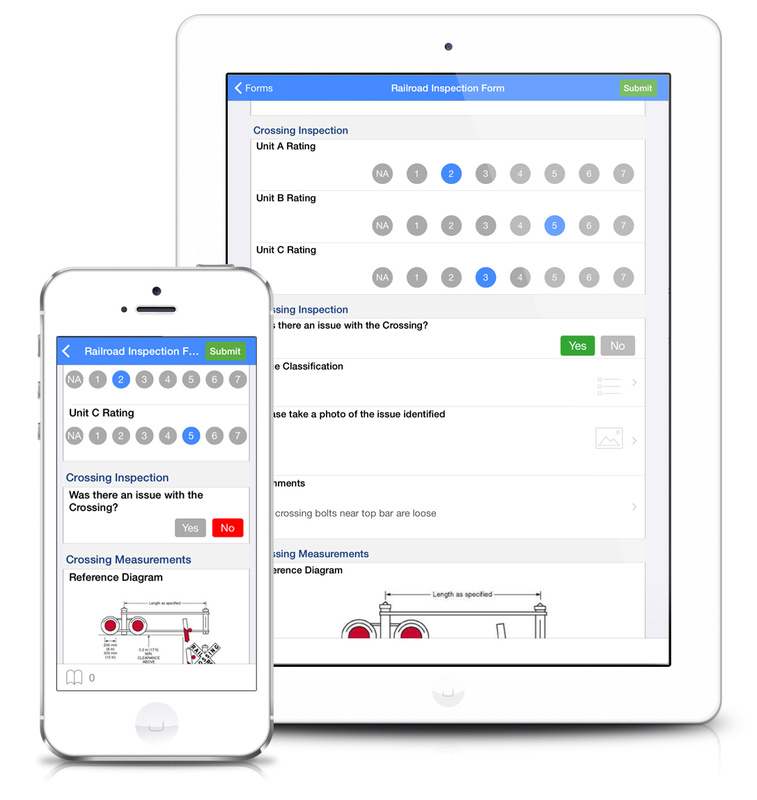 Mobile users access their forms using the FastField mobile forms app on either Android or IOS devices. Form updates are retrieved automatically by FastField so that users are always kept in sync with the latest form version. 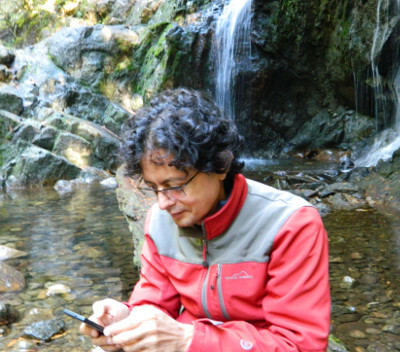 The mobile app works seamlessly in both a connected and disconnected environments ensuring no disruption to the user's workflow. Whenever connectivity is re-established after working offline, form data is seamlessly sync'd with the cloud data vault or posted directly to your own internal servers. The data collected using FastField mobile forms is centrally managed in a secure document vault using a fortune Amazon S3 and Azure cloud hosting services. Both Amazon and Azure comply with UK and Australian Safe Harbor. 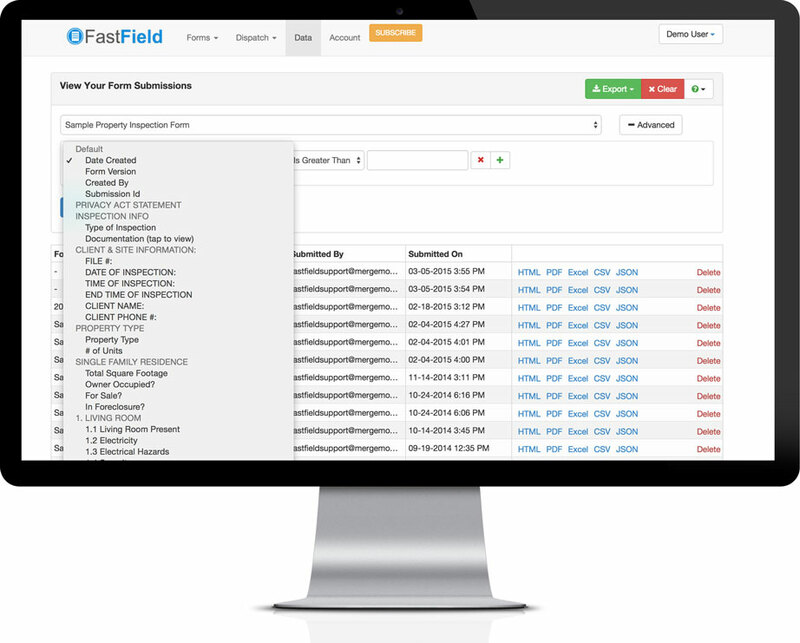 The FastField Data Vault allows for very flexible data querying and extraction. 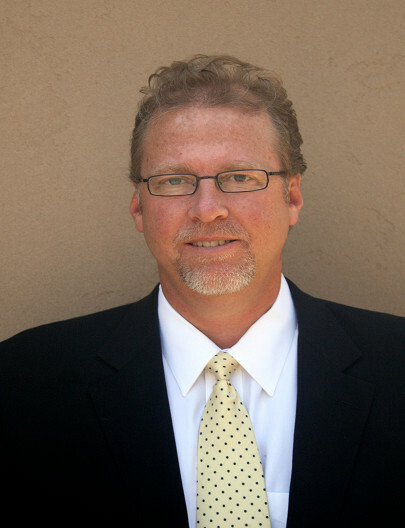 Unlike traditional schema based storage solutions, FastField leverages a schema-less document storage facility, offering query-able data accessed by any field in your mobile form. Authorized Data Recipients can access records via Data Access Portal or extract data/reports via Data Access APIs. Additionally, form data can be mapped directly into a fillable PDF report and delivered directly to the end recipient from the app. 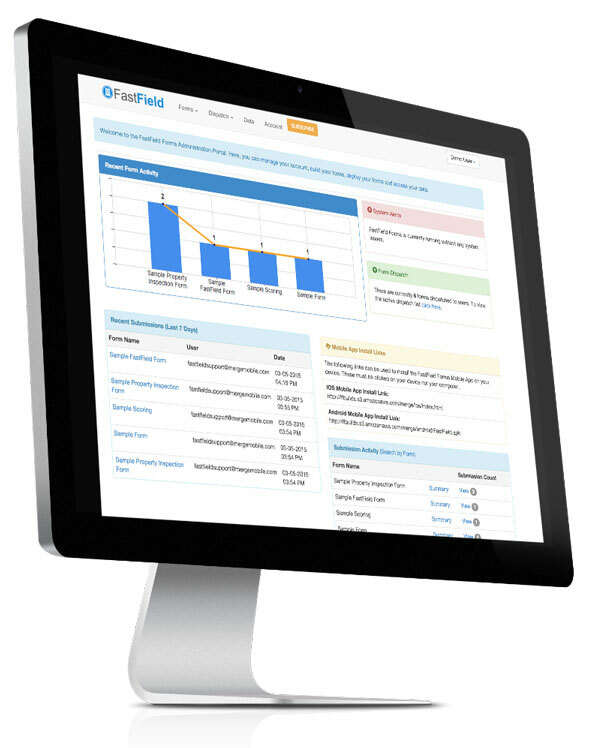 FastField supports the integration of your organization's own custom PDF and Word report templates to help you achieve your own reporting look and feel. 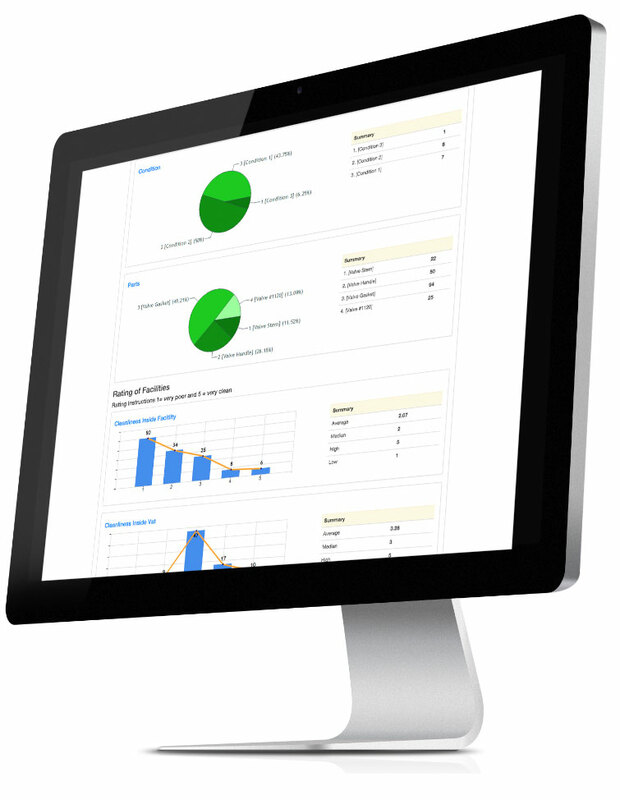 Each mobile form can automatically deliver different reports to different recipients all from the same data set. "Clean and Intuitive, user-friendly UI Great built-in visualization, administration and reporting capabilities, Fantastic customer and technical service, super-fast response time when troubleshooting is needed, Best values for your buck hands down!"